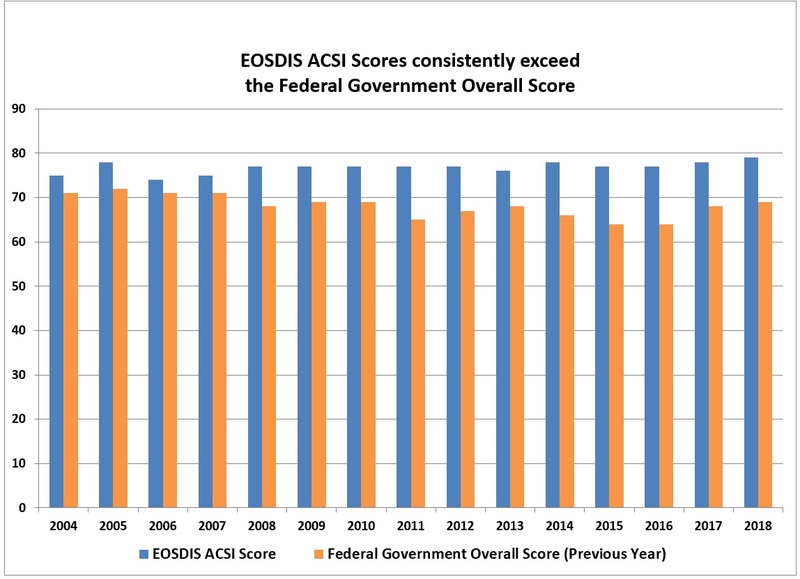 The American Customer Satisfaction Index (ACSI) survey of users of NASA's Earth Observing System Data and Information System (EOSDIS) Distributed Active Archive Centers (DAACs) has been conducted annually since 2004. The results have provided valuable input to help the Earth Science Data and Information System (ESDIS) Project and DAACs assess current status and improve future services. See the link below for ACSI results and the archive for results since 2004. Full reports for yearly surveys are available upon request from ESDIS, NASA Goddard Space Flight Center/Code 423, 8800 Greenbelt Rd., Greenbelt, MD 20771.